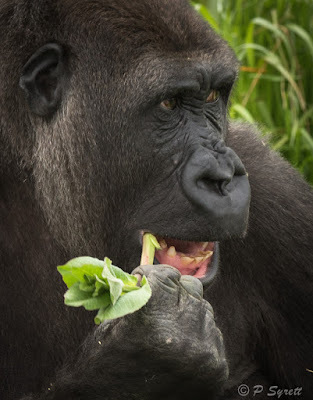 Orana Park, a wildlife facility here in Christchurch, recently acquired three male gorillas from Taronga Zoo in Sydney. 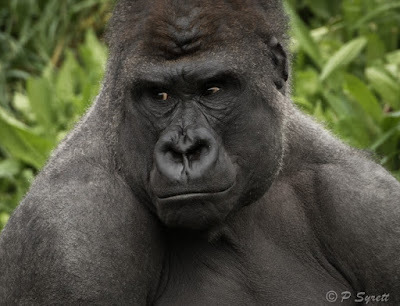 They are western lowland gorillas, endangered in their West African homeland, and are part of an international zoo-breeding program. 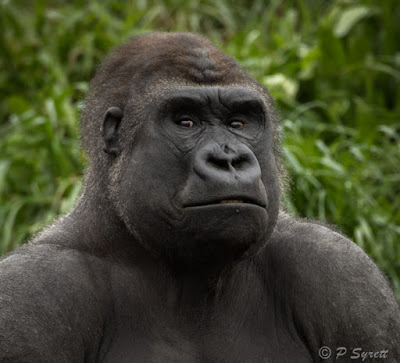 The oldest, and largest, Fataki (12) is a silverback, dominant over his much smaller younger brothers, Fuzu and Mahali (7), who are nevertheless inclined to tease their elder brother. They chase each other around the enclosure and beat their chests, hooting loudly. 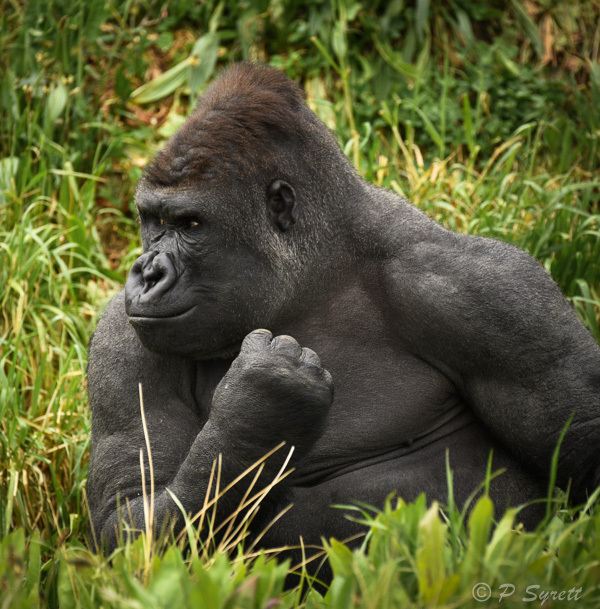 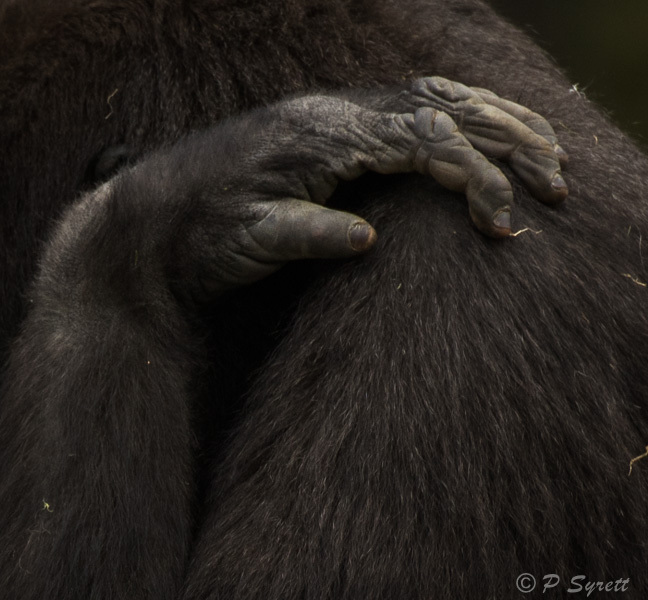 In spite of these apparent displays of aggression, gorillas are generally peaceful animals unless seriously upset. They are great fun to photograph, the challenge being to keep the building and other unnatural bits and pieces out of the image. It isn’t too hard to get a nice portrait, but capturing interaction between them is a little more difficult, and I don’t yet have anything I’m happy to post (watch this space). 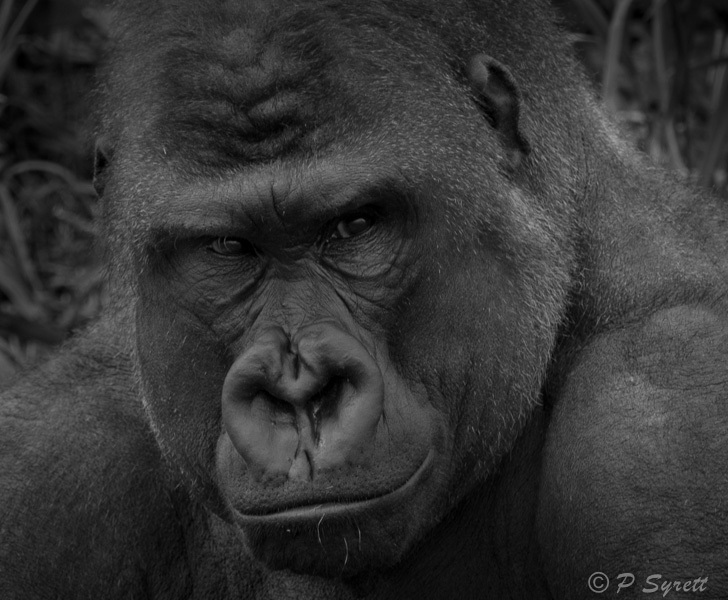 A dark, or black subject is always challenging. Because the jutting brows obscure the eyes I find that I have to work hard to see them clearly, but lightening ‘shadows’ in the raw file in Lightroom helps a lot.